Image shows Stringer Kit plus Treads assembled.Treads purchased separately. The Wilmaplex Ezistep range can be assembled quickly and easily with a power drill and a #10 (No.2) square attachment, ideal for when you need to build steps for your deck. The grooved treads are easily assembled as the stringers are routed in for secure and longer lasting construction. 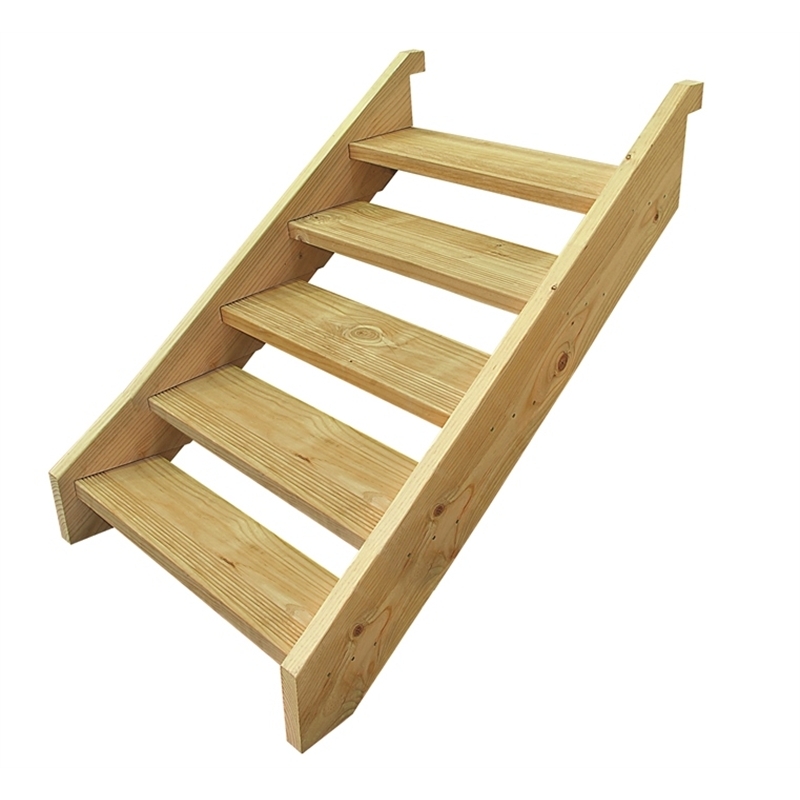 The stairs are made from H3, LOSP Treated Pine, suitable for above ground outdoor use. Timber is a naturally occurring material which can have variations in colour & texture. *Please check the deck to ground measurement prior to purchase.